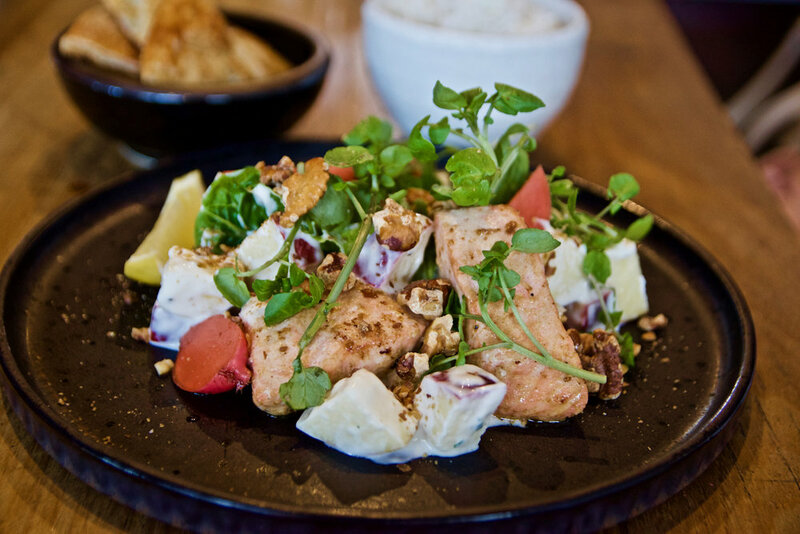 In line with its social setting the menu is designed predominantly for sharing so guests can enjoy more of what is on offer while sipping on their favourite tipple. 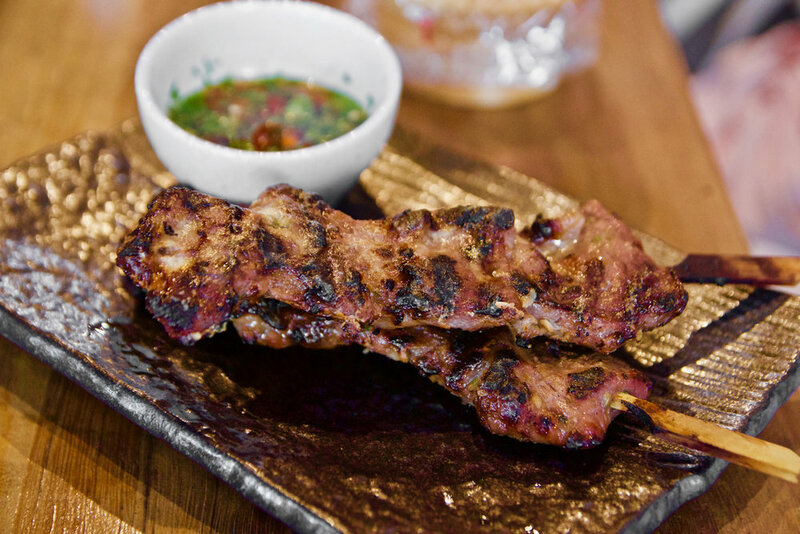 For starters, we loved the Silom moo ping pork skewer. The skewers boasted a delectable char and were bursting with flavour and went beautifully with the accompanying sticky rice and jaew sauce. The Crispy chicken wontons were similarly delicious - Perfectly crispy and laced with an addictive concoction of black vinegar and house made chilli oil. The Roasted eggplant was another highlight. It was a dish that made full use of the eggplant’s most notable characteristic, it’s supply flesh. Fried such that it had the unctuous texture of pork fat this was moreish with spicy sesame sauce, fried shallots and coriander. For mains we recommend the Braised Lamb Neck Curry. 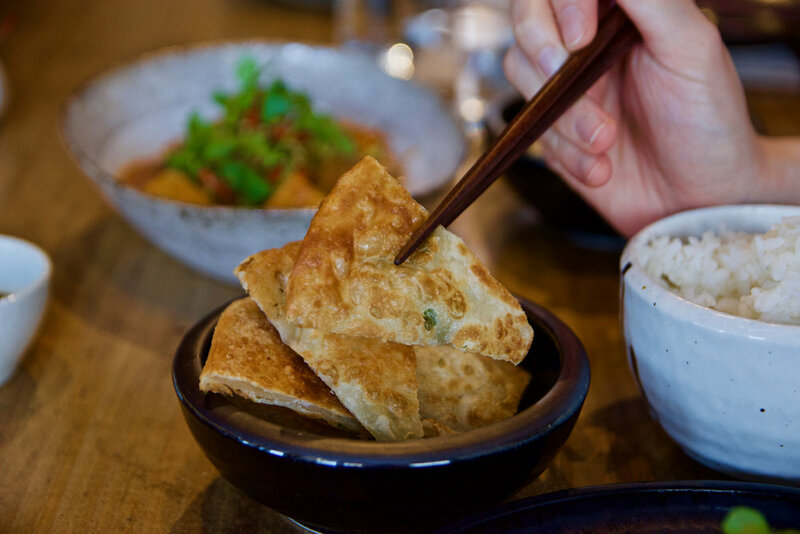 Comfort food at its best, this dish went well with fluffy steamed rice and the scallion pancake mopping up its sauces. 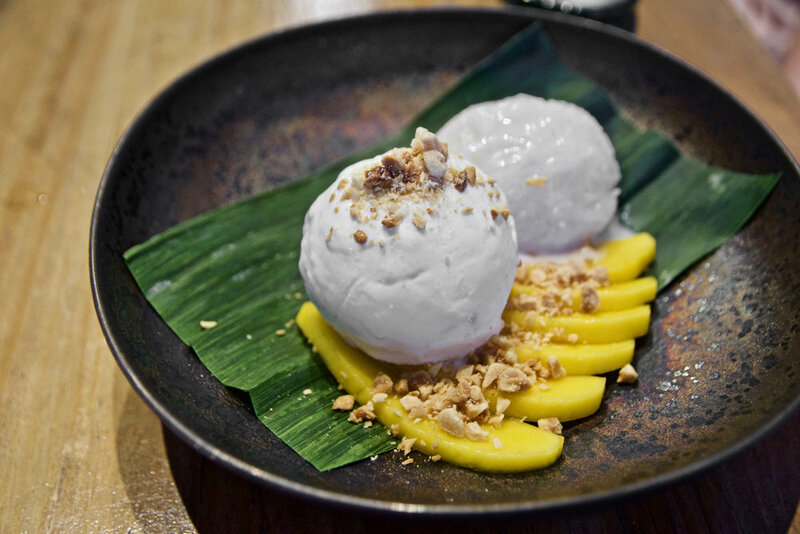 Dessert time continued to please with the Khao Neow Ma Muang which comprises fresh mango slices, sweet sticky rice, peanuts and luscious coconut ice cream.